On the last day in August I hitched up our test van and headed up the A9 to Inverness then took the road down the south-side of Loch Ness. You travel some 17 miles down the picturesque road part of which is one track with passing places, to the village of Foyers and follow the signs for the site. Arriving at the site around lunchtime, I was warmly welcomed by Donald and Lyn Forbes, owners of the site. 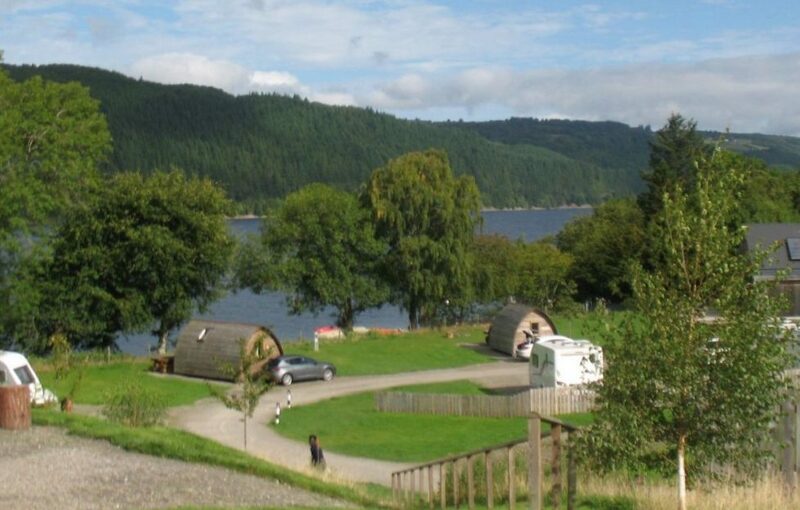 Loch Ness Shores is one of the many franchised sites operated by the Camping and Caravan Club. Access to your pitches is not allowed until 2o’clock (a local bylaw) this gave me time to have a good catch up with Donald and Lyn over and excellent coffee and sandwich in the tea-room, which is incorporated into the reception area. I first visited this site 4 years ago about 3 months after it opened and Donald explained what had changed since the early days. When 2o’clock arrived I was shown to an excellent hard standing pitch which had a birds-eye view of the loch. After setting up and a small snack I had time to wander around the park and take a few photographs. The park has certainly settled down since my last visit and the grass areas are very well cut and maintained. One noticeable addition is the addition of a “Wigaloo” in the camping area of the park. This is like a standard “Wigwam” but has a gents’ toilet at one end and a ladies’ toilet at the other, an addition which I am sure is welcomed by the camping fraternity. In the evening I dined in the local hotel which is on the hill behind the site with panoramic views up and down the loch. I took my coffee out into the hotel garden and just sat and enjoyed the view. On the Friday morning I met up with Donald and he gave me the full rundown on the site. It has 2 major structures, one which contains the reception, shop and café and the amenity block which has excellent eco credentials to heat and light the top notch facilities, with under floor heating and home from home shower rooms, laundry and excellent dish washing facilities. The site has 100 pitches in total, 56 are hard standing and 44 grass plus approximately 20 grass tent pitches, 8 “Wigwams” and 1 “Wigaloo”. The site is one of the few places around Loch Ness where shoreline access provides access to launch small boats. Boats, canoes, kayaks are available to hire, also fishing permits. 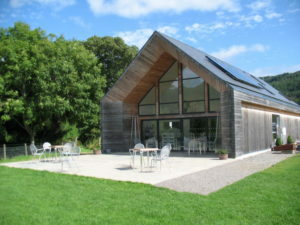 Activities available include archery, den building, wildlife walks. Electric bikes are also available for hire. The site is open all year with entertainment at Christmas and New Year. On the Friday afternoon I drove round the bottom side of the loch to Fort Augustus which boasts the entry to the Caledonian Cana. I spent some time at the locks which transfers you from the loch onto the canal, a sight worth seeing. From here you can explore the area with sites like the magnificent Urquhart Castle and the charming towns of Cannich and Drumnadrochit. I returned to the site early evening as I wanted to sample the food on offer at the sites other focal point, The Airstream Food Bar, which serves breakfasts from 8am – 11am and Dinners from 5pm – 8pm. It was really busy when I went around 7pm, and after sampling an excellent lamb dinner, I had to give this a Five Star rating. I walked along many of the trails beside the loch and with the sun going down behind the mountains it was such a wonderful experience. 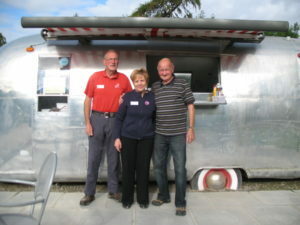 I slept sound that night and after taking a few more photographs in the morning and enjoying a bacon and egg roll from the Airstream Food Bar, I hitched up again and went and said my farewells to Donald and Lynn and their team and thanked them for a wonderful stay.